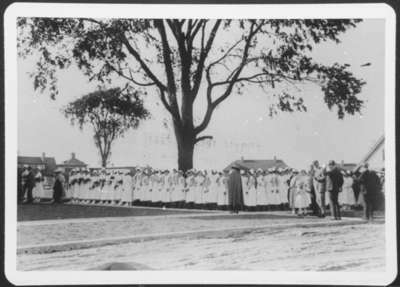 A black and white photograph of the graduating nurses lined up for the procession at Ontario Hospital Whitby. Nursing School Graduation, Ontario Hospital Whitby, c.1924, Photographer Unknown. Whitby Archives 13-001-194.